We all used Google Chrome address bar just to enter website address or to search in Google. However, Did you know that this address bar can be also used to run chrome command to access certain features, which are not available from the menu. 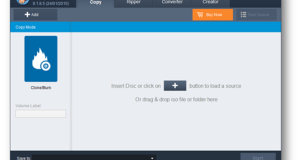 Anyhow, certain features you can also be accessed using the menu. 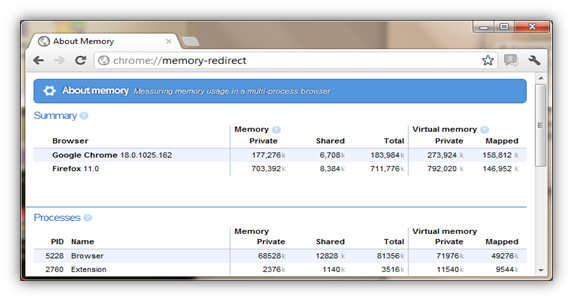 However, we find Chrome://command is an easiest and quick way to access certain features in Chrome. 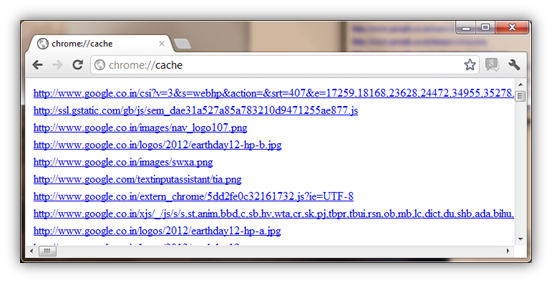 This command will list all cache pages, and file accessed on the web. 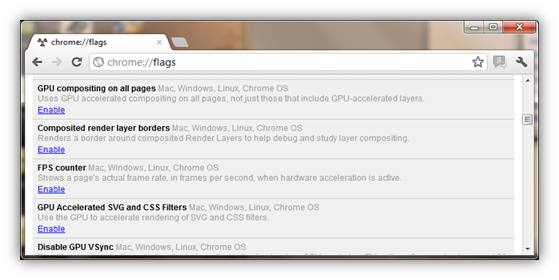 Google Chrome hides some experimental features here. Since, it’s an experimental feature, be caution while using it. 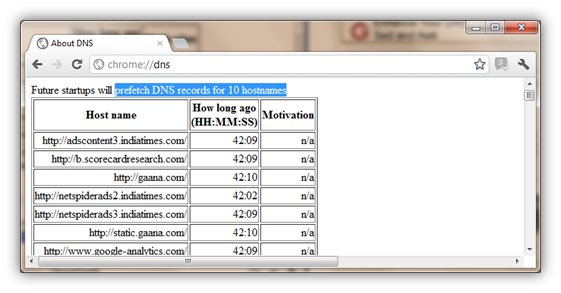 This display hostnames prefetch DNS records. 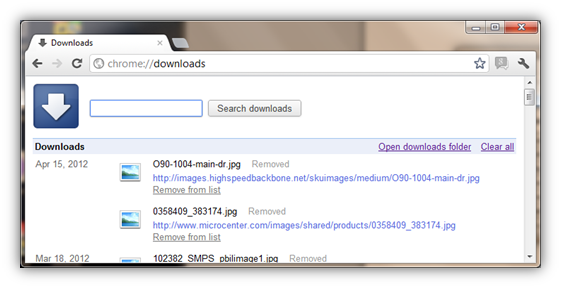 This will open download page of Google Chrome browser. This can also be accessed through the menu i.e. 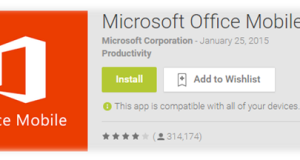 Menu –> Download or through the shortcut key Ctrl + J . 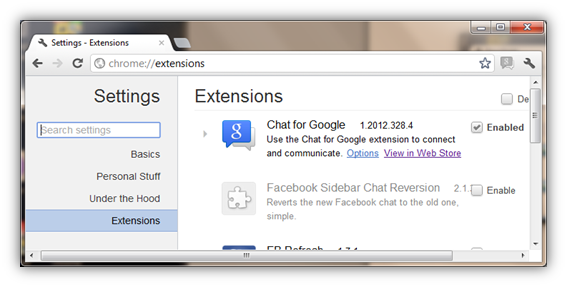 This will open add-on extension page in Chrome. This can also be accessed through the menu i.e. Menu –> Tools –> Extensions or through the shortcut key Ctrl + J . This will open Google Chrome History. This can also be accessed through the menu i.e. Menu –> History or through the shortcut key Ctrl + H .
This will open Google Chrome Bookmarks. This can also be accessed through the menu i.e. Menu –> Bookmarks –> Bookmark Manager or through the shortcut key Ctrl + Shift + O . Instead of searching setting option through the menu, this is an alternative method to access setting page in chrome. You can also access setting page through the menu, i.e. Menu –> Options. This command will fetch all GPU information for your system, i.e. Driver Information, card name, chipset name, memory, etc. It also shows Graphic Performance rating information for your system. Task Manager of Google Chrome Browser. This can also be accessed through menu, i.e. Menu –> Tools –> Task Manager or through Shortcut key Shift + Esc. 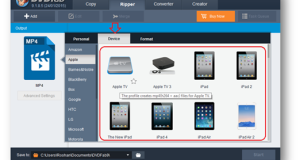 This will show all sync information, including Google Sync and URL Sync. There are many such commands in Chrome. However, to list all chrome commands in one page, type the above command, i.e. Chrome://about in the address bar. very useful and fantastic commands are given here.Before Firefox i had used Google chrome but i found some problems during using it,like browsing and saving from websites .So if i used these commands i am sure that i will use it easily now.